The figure on the left below is like 81.6 but is photographed from a better angle. 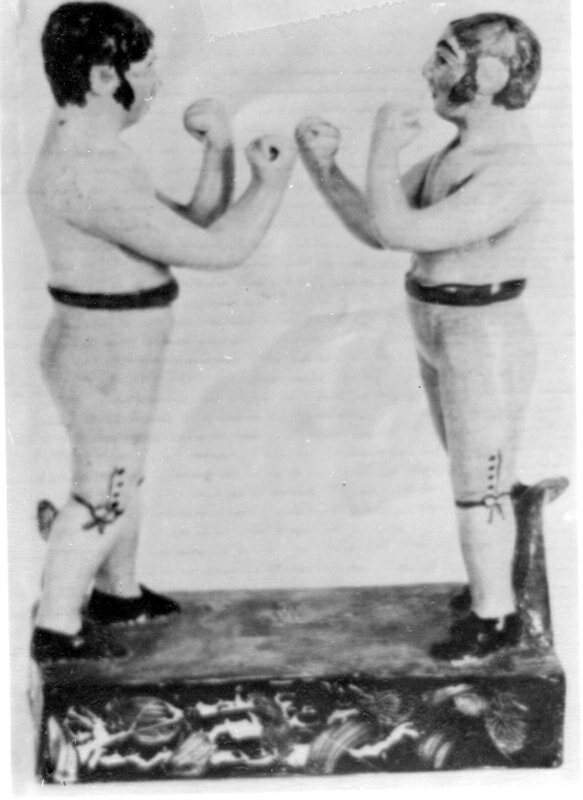 The figure to the right is apparently from the same molds, but it has been assembled to present a different stance, and the post is placed to the boxer's other side. As a result, the figures stand together as a pair. I suspect this figure is intended to be Cribb because I have seen it paired with Molyneux. 81.6c. 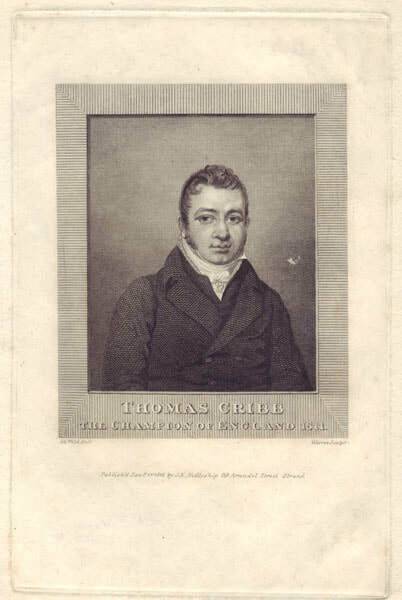 This figure of Tom Cribb was probably made in Scotland. Note the unusual colors that suggest a Scottish attribution. Courtesy John Howard. 81.6d. Cribb and Molyneux. Probably made in Scotland. Courtesy staffordshire-figures.com. 81.7a. This image, (c) Christie's, is from an old catalog. It could hardly be tinier. I think it is the same model as 81.7 but atop a square base. 81.10a. 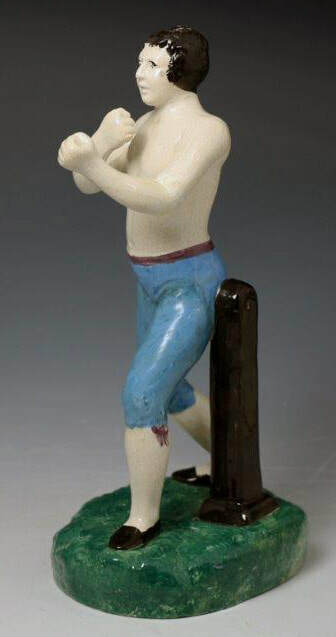 I might give my eye teeth to see this little figure, which uses the same figure molds, I think, as the Walton figure of Spring and Langan shown in 81.10. 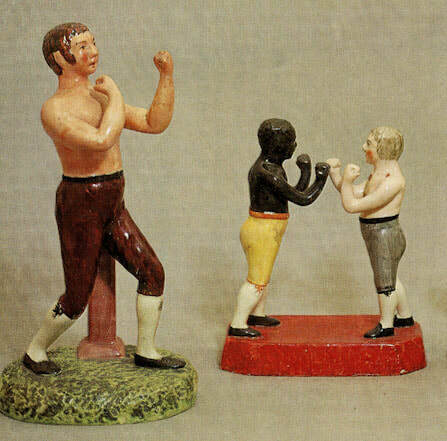 I am intrigued by the two pugilists standing on one base, shown alongside a figure of Cribb for scale. The page is from a 1974 Sotheby's auction catalog. 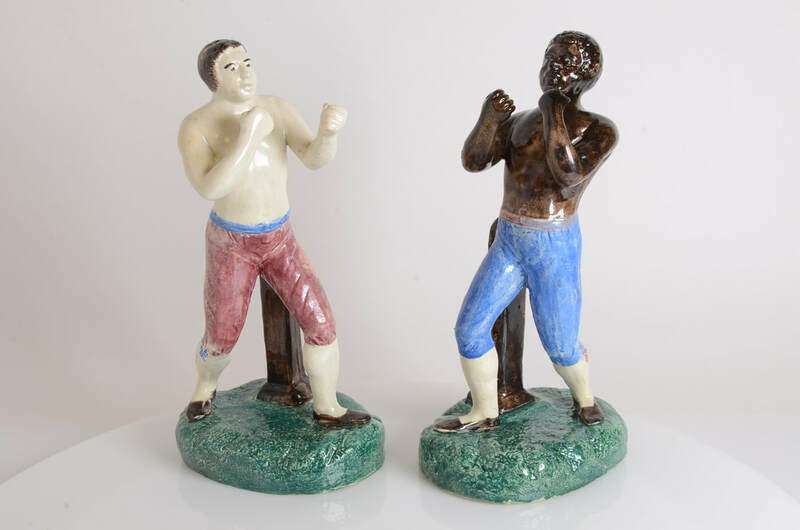 The figures probably represent Cribb and Molineaux--although Molineaux certainly was not the only successful black pugilist. 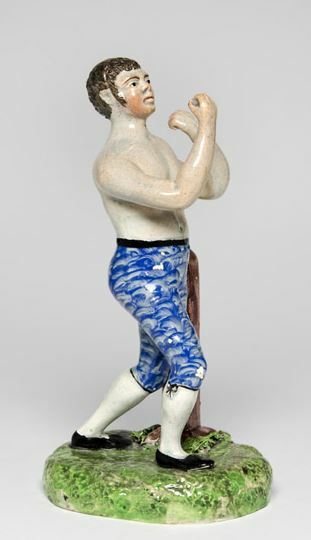 No other example of this small figure is known. I suspect that these same figure molds, with modification to the hair, were used for the Walton group of Spring and Langan in 81.10-11. This oil painting sold at auction in the US and was thought to portray Molineux, who was known to imbibe to excess. 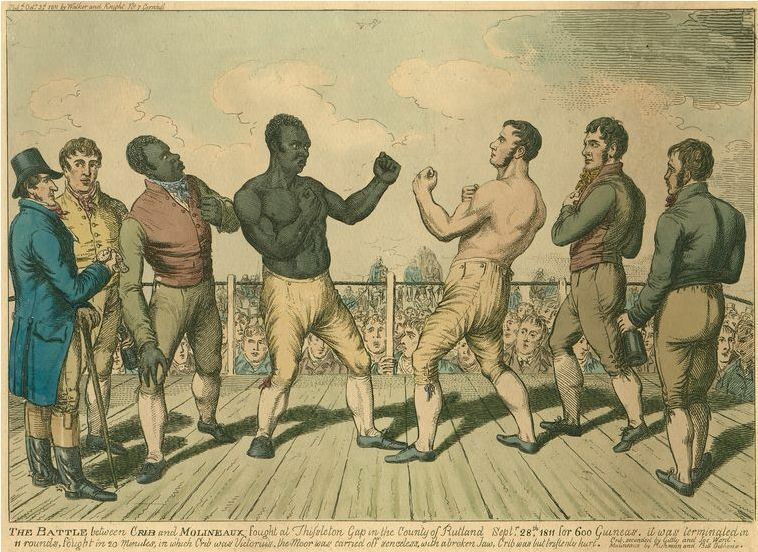 The second Cribb-Molineaux fight, September 1811. Attributed to Ralph Wood and said to be the prize fighter Gentleman Humphreys. 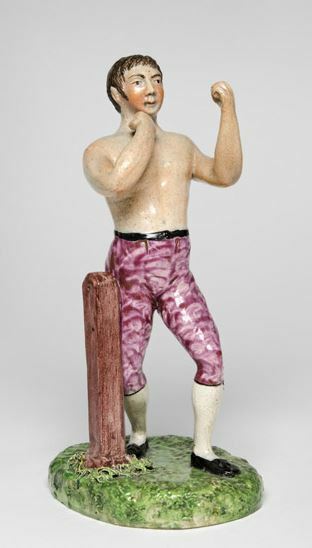 The model persisted into the nineteenth century and seems to have been used to portray a range of pugilists, including the black pugilist Thomas Molineaux. See figs. 81.7-9. (c) Sotheby's.